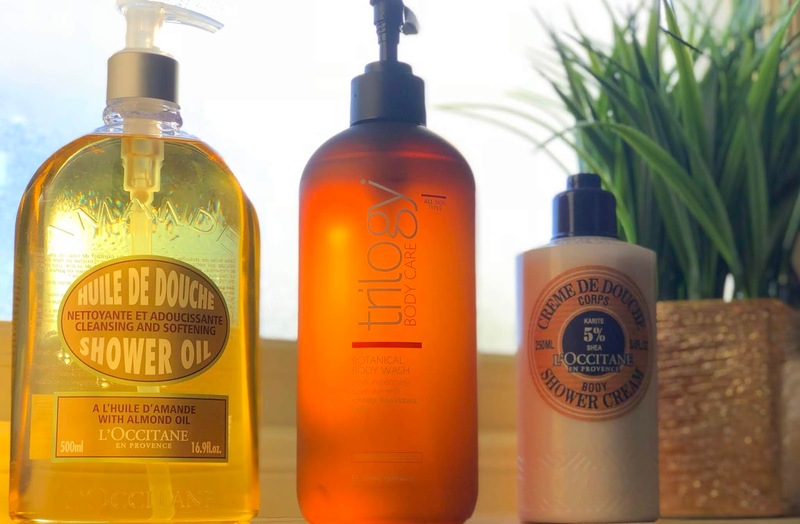 3 shower gels to treat your skin to this autumn! When we got work done to the house a couple of years ago, we needed to make more space in the teeny bathroom and got rid of the bath. Now I don't miss the bath much at all until it's freezing cold in the house and I'd love to dive right in to a warm bath, but me and showers, we are a match made in heaven. Tired? Shower will sort me out and refresh me. Cold? Hot shower will warm my bones (we won't mention trying to get out of the hot shower into the cold bathroom and freeze again!). Too hot? Cool shower with a marine-y scented shower gel will sort it all out. Basically showers cure everything for me and for the next few months as the days get colder and the skin gets drier, I'll be using these bad boys. I've used them all since taking my photos and I'm having to drag myself out of the shower every day! There's just nothing nicer than feeling lovely after your shower, you smell great, you feel great, you are great and if you've got cosy pyjamas to put on after you've dried yourself off, you are living your best actual life! I first discovered this way back in 2014 and have gone through a good few bottles of it over the years. 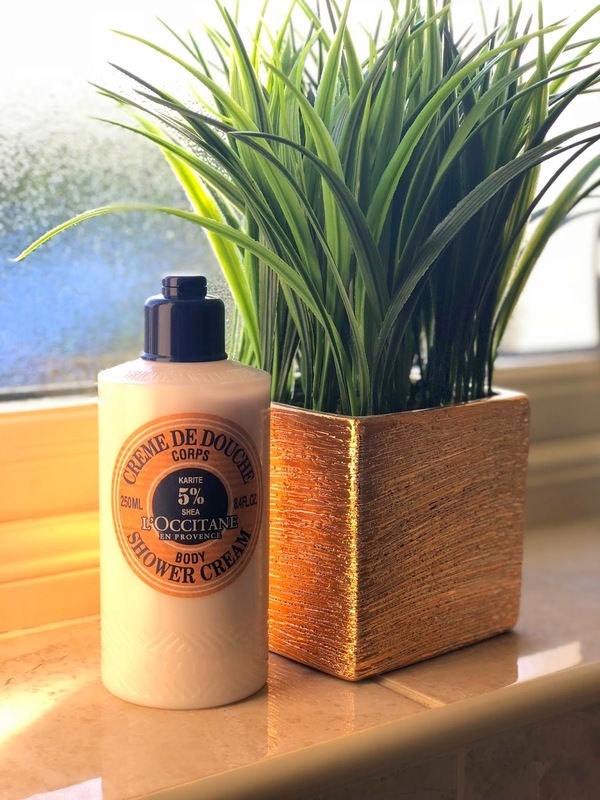 I was given this bottle by the gorgeous girls in L'Occitane Kildare village, so if you're watching the cashola and still want to treat yourself, visit the shop which has just been done up and is only beautiful, and grab a bargain. Now if you're new to shower oils, let me explain. 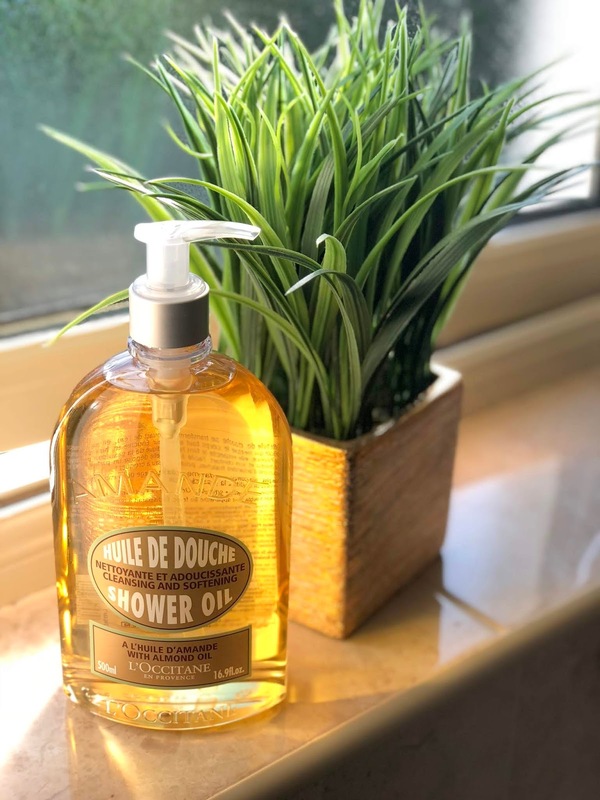 The best way I've found to use it is by adding a couple of pumps into my shower puff and when it comes in contact with water, it lathers up into a really rich foam. The almond oil leaves my skin feeling soft and smooth and I also use it directly applied to my skin as a shaving oil. When my skin is scaldy dry in the winter, this is one I reach for year after year. I don't have a price for how much it is in the Kildare Village shop, but online it's €35. PS It doesn't smell like marzipan. This is very important to those of us who just can't with marzipan and see the word "almond" on the packaging. I love using this before bed because there's just something so relaxing and zen about it and it really is one that works on the mind as well as the body. It's available on Cloud10Beauty. I got given the Body Shower Cream from L'Occitane in Kildare Village and it came in a pack of two. Again, I don't have the prices, but it was cheaper than buying it in the regular L'Occitane shop and the thing is, having a set of two would either make a lovely gift for someone, or you could split them up, one for you, one for a pal! Either way, whoever gets to use this will love how soft and supple their skin will be after using it. I first discovered this in one of the L'Occitane advent calendars and to be honest, the whole Shea range is just gorgeous. Last year I bought Mam and Joanne one of the shower gels in the Shea range in Kildare Village and they loved it (I guarantee they're both keeping it up for "good use"). The shower cream, along with the whole shea range, smells so comforting. It's like being wrapped up in a big fluffy towel and in the colder months, it's exactly what our poor withered skin needs! So that's us sorted for showers for the rest of the year! I know these are on the spendy side of things, but sometimes it's nice to treat someone, treat yourself, or be treated to something you wouldn't normally spend money on. What fancy shower gels should I try next? Anastasia Soft Glam eyeshadow palette review, photos, swatches! I don't need anymore makeup than I already have, and yet I cannot stop buying the things. Now this purchase, the Anastasia Soft Glam palette, happened in France in one of the cities we found ourselves in and whilst I had sweat squirting out of my body at an ungodly rate, Sephora was like a beacon of air conditioned hope for me that day. Whenever I'm in Sephora, I like to buy things that we can't easily get here in Ireland, and I bought the Soft Glam palette unresearched, based purely on swatches done on the back of my sweat soaked hand and I fell in love instantly. Look at it... If you like your warm neutrals, interspersed with beautiful metallics, then you're going to love this palette. It has a mix of soft, pigmented mattes, wet look shimmers and the shades work seamlessly together. The only thing I'm not mad on is the beige velvet packaging. I know it's only a matter of time before it gets filthy dirty, but that's ok, it's what's inside that counts, right? Everything looks great swatched on the back of my hand and there's not a dud in the bunch. Shades like Sultry, Bronze, Rose Pink and Fairy work best on me when applied with a finger and using them that way means limited fall out too. I've tried them with a brush and I find the pigment gets everywhere and I lose the rag altogether. So apply with your finger, or if you are going to use a brush, apply it wet. Be grand. 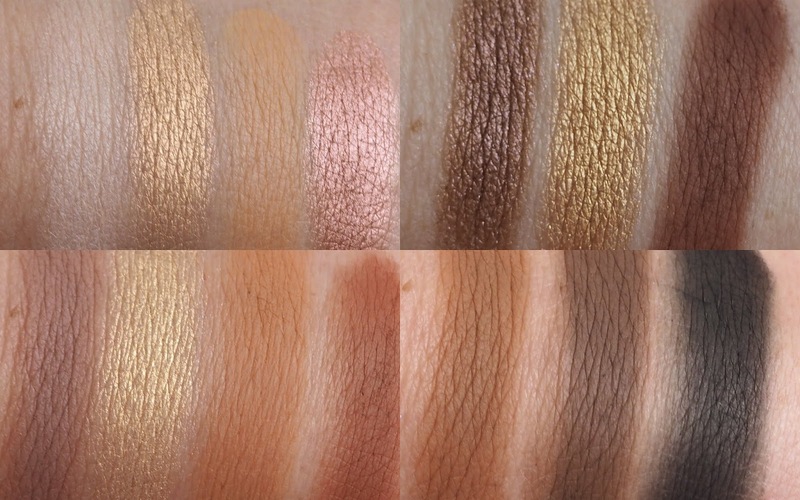 As for the mattes, when I first swatched them in Sephora, I had visions of having the same issues that Tati from Glam Life Guru had with the Subculture palette with all of the fall out, and while there is a bit of fall out if you swirl your fluffy brush, I find the best way to get maximum pigmentation station across the nation without a mess is to place the fluffy brush into the mattes and not swirl. Hardly groundbreaking but sure I'm giving you an aul tip that might come in handy! I've used the palette in two different Instagram videos if you want to take a look and it's fast become one of my favourite palettes! See with eyeshadow palettes, sometimes there are shades that we don't tend to reach for, but with Soft Glam, I've used every single shade multiple times, so it's a winner. 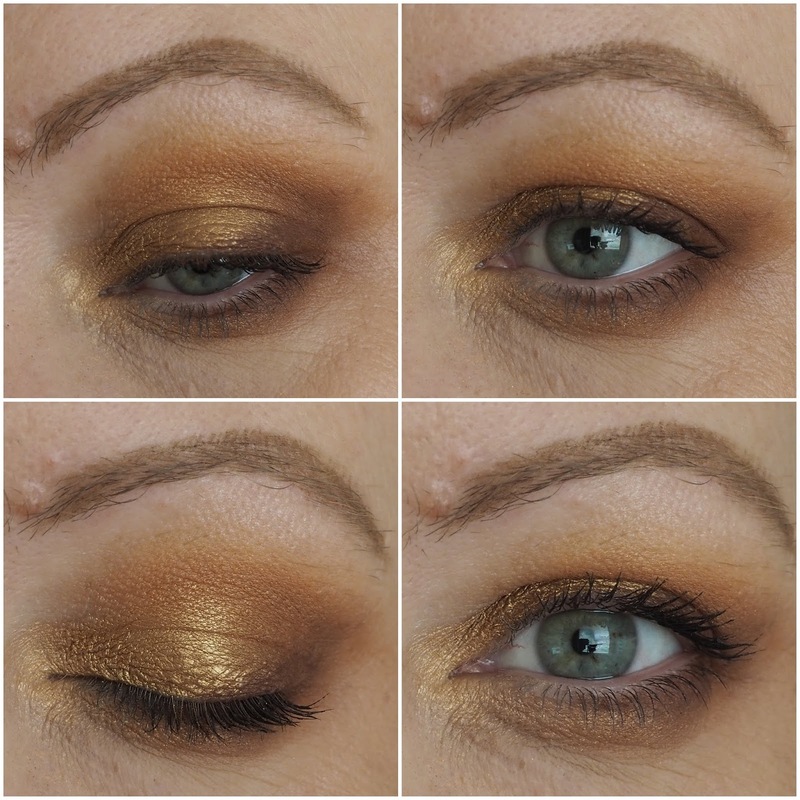 The first look I ever did with it was with the golds and browns and it's just a soft, easy to wear day time look for me. If I wanted the finished look to be more metallic, I'd have gone in with a wet brush, but for me, this is shimmery enough for wearing during the day. Then to make my eyes look extra green, I've been using the plum and rose gold shades with the matte black smudged into the upper lash line. This would be even vampier and smokier with a black liner on the waterline and a pair of lashes wouldn't it? The Soft Glam palette is available on Cult Beauty for £43 and if you're looking to treat yo'self, you know what to do! Is it speaking to you the way it speaks to moi? New! Nuxe Aquabella skincare range for combination skin! Is it just me or do you like changing up your skincare routine as the seasons change? I know I've said this before, but for me, autumn signifies a new year, a fresh start and if you've let your skincare routine slip a bit over the summer, now is the time to get yourself sorted before the central heating and cold air takes hold! Nuxe is one of my favourite brands and this year they've launched the Aquabella range, aimed at those of us with combination skin. I'm still in the early stages of using the products but wanted to give you the heads up first as it can take me a while to properly test out skincare products. Nuxe have combined two natural ingredients, White Waterlily and Natural Origin Hyaluronic Acid, which work together to target the two issues that us combo skinned bridies deal with. 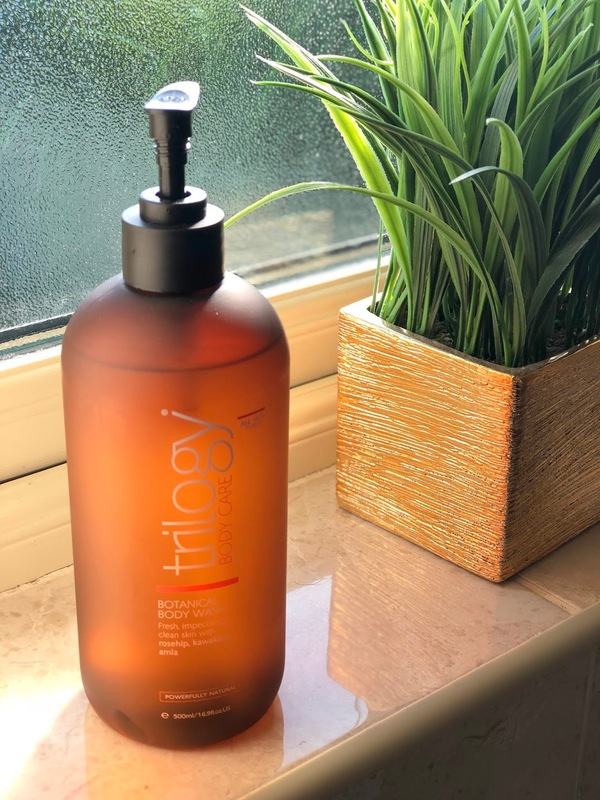 It gives "plumpy" fullness in dehydrated areas (anything that plumps out my bits is a winner in my book and also if it uses the word plumpy, all the better!) and helps keep the complexion clear in oily areas. There are three products in the range, all reasonably priced and they smell gorgeous too. I know that shouldn't be important, but I do love a clean fresh scent when it comes to skincare! It's the perfect range for using in the morning when you want to look alive, feel alive and get cracking for the day. The Aquabella Micro-Exfoliating Purifying Gel (€14.50) gives a deep clean to the skin without feeling dry or tight and the micro-beads are of natural origin FYI. It's gentle enough to be used every day, but I've been using it every second morning and haven't found it too harsh on my little scaldy face. It feels nice and cooling on the skin which is always handy when trying to wake up first thing am I right? Next up is the Aquabela Beauty-Revealing Essence-Lotion (€17.00) which again has the White Waterlily and Hyaluronic Acid, leaving the skin feeling smooth and soft. It's kind of like a toner and it's kind of like an essence, which preps your skin for the final stage of your routine. A couple of years ago you couldn't move for the amount of essences that were launching but they seemed to have calmed down, so I'm happy to be back using one again. I don't know if it's making any difference to my skin, so I'm going to give it a break for a week and see if I can see or feel a change. The Aquabella Beauty-Revealing Moisturising Emulsion (€27.50) is the product that targets the specific areas of your skin that I mentioned earlier. So it plumps your dehydrated bits and keeps your oily bits matte thanks to a silica powder. This feels lovely and lightweight on my skin and I'm keeping an eye on whether it keeps my oily bits matte, so I'll keep you posted! I've been wearing it under my foundations and have been powdering my oily bits, so I can't say just yet if it's helping with the oil situation, but I'll keep using it and on days where I'm going makeup free, I'll be keeping an extra close eye on my schnoz and forehead! The Aquabella range is out now and while some of Nuxe's skincare products can be on the spendy side, and while it isn't what I'd slot in the budget range, it's definitely on the more affordable side of things. It's available in pharmacies nationwide and in the Marks and Spencer Beauty Hall. Will you be trying out the range? Who else has combo skin like moi? 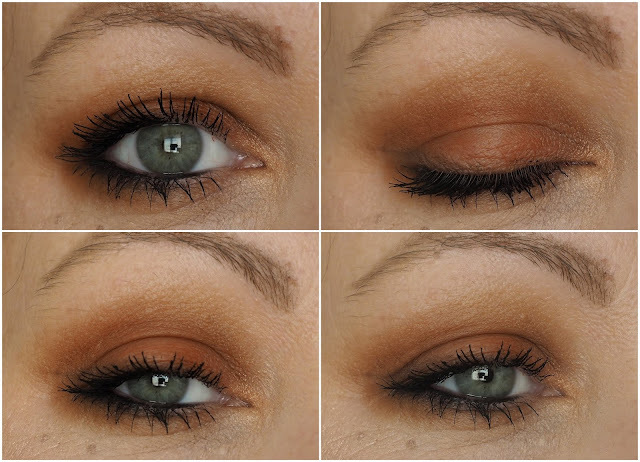 The autumn palette under €9 that you need to try! Wet n Wild have launched their new range for 2018 and while I'd personally love them to release more limited edition bits during the year, I'm happy that they've brought out some whopper bits. Namely the Wet n Wild Colour Icon Eyeshadow 10 Pan Palettes (I can't bring myself to type Color instead of Colour, SEO be damned!). I was given the Rosé in the Air palette, (which I like to sing to the tune of "We're walking in the air") I can't control when the music takes over me. But more importantly, I was verdy excited at the mere glimpse of a warm toned palette. I know, I'm collecting them at this stage but this one had me at that warm transition shade... Look at it! Rosé in the Air is €8.25 and is well worth it in my opinion having only tried it once. There are a couple of duds in the palette, but the good shades more than make up for it. I've swatched the top four shades, the bottom four and then the two transition shades separately. The top shades have two mattes which are disappointing. The purple taupe matte shade and the cream don't have much colour payoff and I'd use the matte cream to set my eyeshadow primer, but apart from those two, the rest of the shades are gorgeous. The four shades below speak to my warm shade loving heart... There's very little fall out with them once I don't go mad with the swirling of the brush and they apply beautifully and blend easily too. I wore this for just a couple of hours yesterday so can't report back on longevity but I'll try it out again and update this post. But for just over €8, it's pretty great on first impressions! That transition shade on the left below is worth the €8.25 itself. It's a mustardy warm mid brown that I'd be happy to wear on its own. Shades like that make my green eyes even greener and it's a good thing it's bigger than the rest of the shades! This is what it looks like on my eyeballs and if you go to my Instagram, I posted a one minute video showing it in action last night! This is what it looks like in photos and after reading this post and watching the video, you'll see why I love it so much! Wet n Wild is available in Dunnes Stores nationwide and this palette is €8.25 and there are two more versions of it too. Tell me this, are you excited for autumn makeup? What are your favourite budget makeup bits! IT Cosmetics has come to Ireland & these are the bits you need to try! I show a lot of new products over on Instagram and Instastories every week, but when I mentioned that IT Cosmetics were coming to Ireland, I received so many excited messages from people who were dying to try the products and loads of messages from those who had already tried some bits and were big fans! The hype was real and in all of my years of blogging, when products are hyped, it makes me be even more harsh on them. I know, I can't help it! I've been playing with some of their best sellers recently and am ready to give you some feedback to help you decide which products to pick up. IT Cosmetics is exclusive to Arnotts and their stand there is so much bigger than I was expecting. I didn't know a huge amount about the brand and had no idea that their products went outside the base range. So my advice is go and visit the stand and swatch all the products and have a play. Let's start with the famous CC Cream (€39). The official name is the Your Skin But Better CC Cream with SPF50. There's an illuminating version too but this is the regular one and it's described as an "all-in-one multitasking beauty miracle." It's your makeup, your skincare, your SPF, your colour corrector, it's a one stop shop. It's said to give full coverage but I've found that one pump on my giant face gives a really decent medium level of coverage. And it builds beautifully on the bits I need a bit of extra somethin' somethin'. 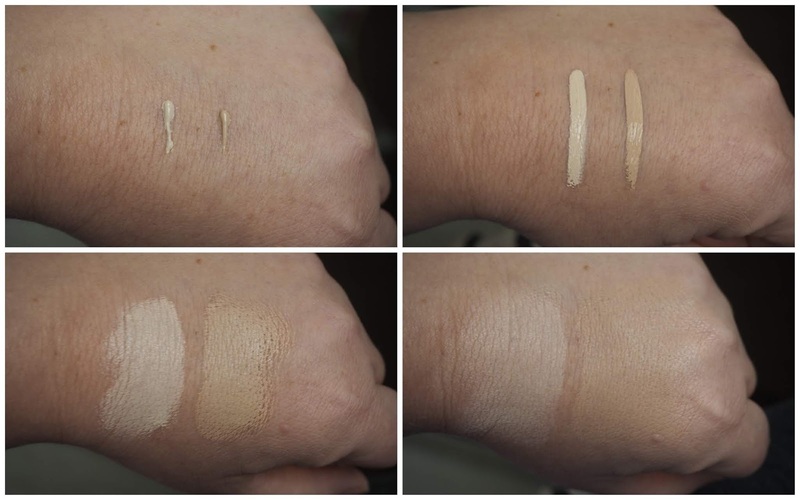 I'm wearing the shade Light in the photos below, which is the second lightest of the seven shades available. Fair is the lightest shade and I'll chat about that in a second. I love everything about this base. It has a slight scent to it that I can't place. I can't tell if it's citrus or something botanical, but if you don't like scented products, I wanted you to know that this has one! It's got a thick enough consistency but blends easily over my skin. I've been using a couple of my favourite foundation brushes to apply it with and it goes on so easily without any streaks or patchiness. As I apply it, I watch my complexion even out, my skin gets a really natural glow and I just look healthier. And as you can see from the photos below, it does a great job of covering redness on my nose. It leaves a beautifully radiance dewiness to the skin which I need to powder down, just on my T-zone, and when I do that, it stays put all day long. Look at my face. I think oily people like myself will need to powder to get a day out of it, but those with normal to dry skin will love this too. 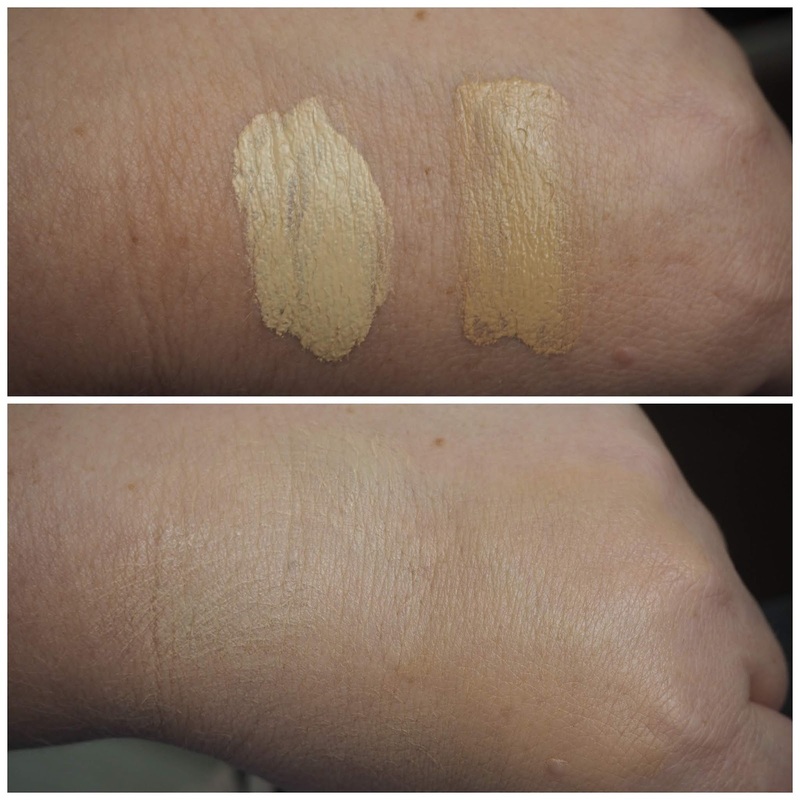 I wanted to show you the difference between the lightest shade, Fair, and the second lightest shade, Light. There's a pretty big difference colour wise between the two and they could definitely do with expanding the seven strong shade range, but I think that's happening. But what I wanted to show you was the difference in texture between the two shades. I was originally sent Fair to play with and couldn't get it to sit right on my skin. I thought it was my face and thought I was the only person who wasn't mad on it until they gave me Light to test out and then I fell in love with that. Light is just easier to blend than Fair on me and it sits on my skin better too. Fair seems almost thicker and chalkier which I tried to show in the swatches on the back of my hand. Basically what I want you to do is go into the IT Cosmetics counter in Arnotts and get colour matched and really get to grips with the shades. Light is perfect for me. Let's go on to brows and lashes. Brow Power (€25) comes in one universal shade, Universal Taupe and while I don't know if it's a good shade match for everyone, I know it's a good shade match for me. Look at my poor scaldy brows without any product... But look at them with the Brow Power! It has an oval tip which allows you to create hair like strokes and also fill them in quickly and easily and I've found it pretty nifty to use so far. I find the pencil itself is a bit soft compared to the slightly harder pencils I'm used to and I have to use a lighter touch or else I'll end up with mad looking brows! But the brush on the other end of the pencil helps blend it all out when I go a bit heavy handed. It's €25 and while it's nice, it's not The One for me. I'm a fan of a micro pencil as I have a bit more control but if you're better at brows than me, which is pretty much everyone, then check it out. One thing to note is that for every Brow Power sold, one is donated to the Look Good Feel Better campaign which is reason enough to pick one up. Next on to the IT Cosmetics Superhero Mascara (€25). Or should I say the Superhero Elastic Stretch Volumizing Mascara. Fierce long name altogether. You know me and mascaras and I was dying to give this a go with its Elastic Stretch Technology. 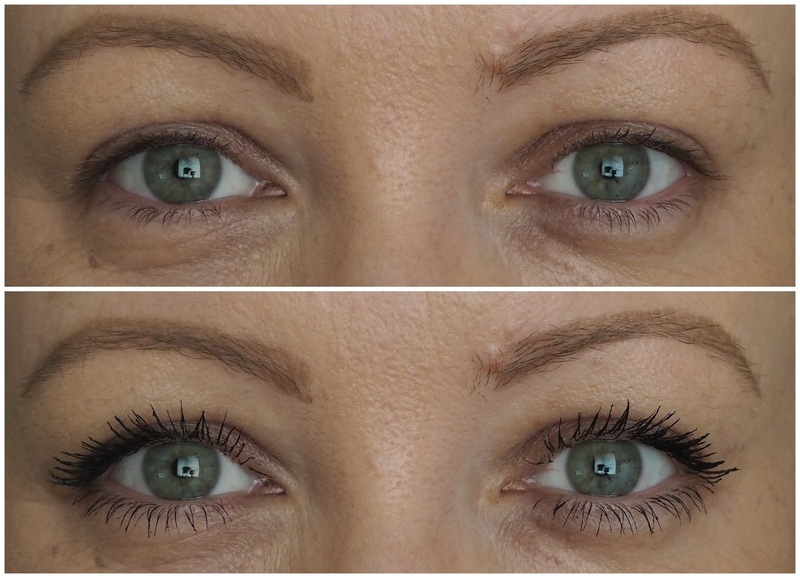 You'll see what it does in the before and after photo below and how it gives great length and volume to my lashes with thickness at my lash line and it's super black. I mean you should see the mess I make when I'm removing it! It stays put all day and I know this to be true because of the amount of pigment that's on my Cleanse Off Mitt when I'm removing it! What I've found with this mascara is that because of the slightly wetter texture than what I'm used to, one coat goes on perfectly with minimal clumping if any. If you want to apply a second coat, the timing is important because if you apply it too soon over the first coat, clumping will happen. So let it almost dry and then go in again. But the before and after photo below shows just the one coat. For me, I'm fierce picky when it comes to concealers and had heard great things about the Bye Bye Under Eye Concealer (€29). The first time I used it was in one of my Instagram one minute videos and I was concerned about how thick the consistency was and I used way too much. WAY too much! I could've done my whole face with the amount I used, so what I've learned is to apply a tiny amount on the back of my hand, no bigger than a grain of rice and to use a fluffy blending brush to work it into the skin. Below shows shade Light and Medium. Light is a good shade for highlighting a la Kim Kardashian, but for a mere mortal like moi, Medium is a better match for me. Look how pigmented they are and how far they go when blending them out! 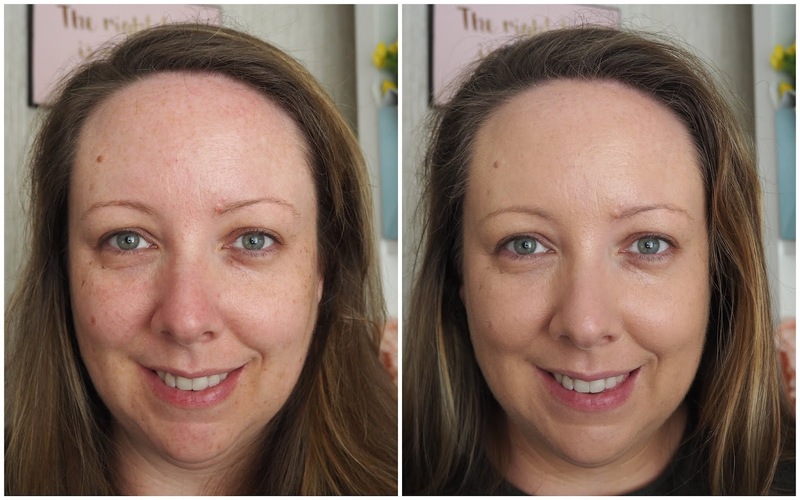 Because the skin under my eyes can tend to look dry and crepy when I use most concealers, I wondered how this would sit on my skin and I can tell you that when buffed into the skin and then gone over with a damp beauty blender, it gives me fantastic coverage without looking cakey. Even though concealers are supposed to hide all your flaws, I'm grand with mine and would rather go a bit light on the product compared to having it really obvious that I'm wearing concealer. The below photo is with no concealer. I don't have mad dark circles and just have a scar under my left eye from a cyst removal years ago. 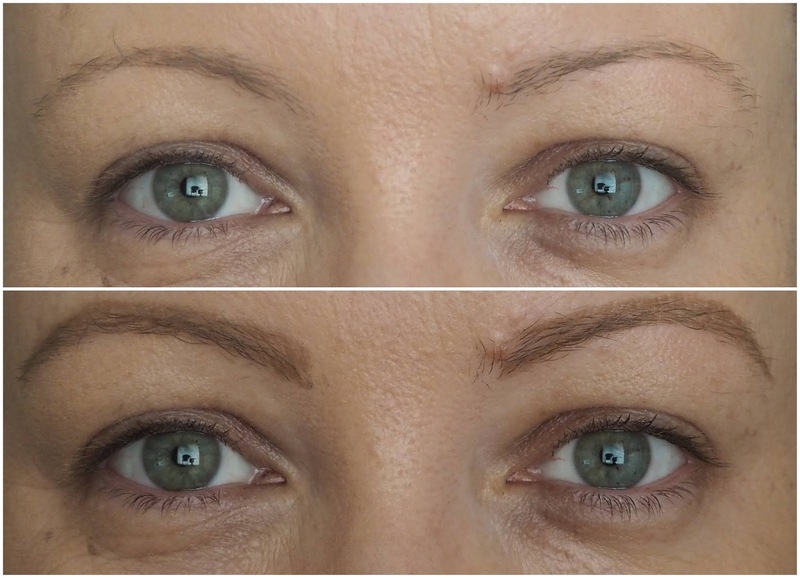 Below shows one light layer of the Bye Bye Under Eye Concealer applied directly under the eyes and brought slightly into the inner corners to add a bit more brightness. Because of my skin type, I have to set concealers under my eyes because no matter how long wearing they are, they generally tend to crease. Below shows the concealer set with the Bye Bye Pores Poreless Finish Airbrush Powder which is my new best friend. It helps keep the concealer set in place all day and doesn't dry out my skin at all. So check me out, wearing concealer! The Poreless Finish Airbrush Powder is a bit messier to use being a loose powder and all, so I'd recommend using the little puff inside, or a smaller powder brush because using a big powder brush will have you flicking it everywhere! But what I love about it so much is that when I use it, I watch my skin transform. It looks airbrushed thanks to the Optical Blurring Technology, it looks poreless and it stays matte all day. I don't have to top up any oily bits at all. I'm still working on trying not to be messy with it, but it's worth the effort! And thus ends this mammoth blog post going through some of the bits I've been trying from IT Cosmetics. Have you tried anything yet? What do I need to try next? IT Cosmetics is available exclusively in Arnotts, so happy shopping! Summer makeup that stayed put in 38 degree heat! Well I'm back from galavanting in France for the week where I sweated more than I ever have in my whole entire life! Like I'm talking water gushing out of my forehead. That's what going away at the end of July will do, but I'd been checking the weather app for weeks beforehand and knew what I was in for, so packed my makeup accordingly. And I thought a post showing what I brought, what stayed on my face all day and what you can bring if you're heading away to hotter climates this year, might be a good one. I wanted to bring one of my trusted SPFs away with me that I knew would last all day, that would keep me matte, would protect my skin and that my foundation would go on top of easily. The Vichy Ideal Soleil Mattifying Face Fluid Dry Touch SPF (€15) is just a deadly product and I used it on my face, neck, chest and arms and didn't burn a single bit. For those with oily skin, it's fantastic in that it dries matte quickly, doesn't leave the skin feeling chalky and it's a product I've bought time and time again. 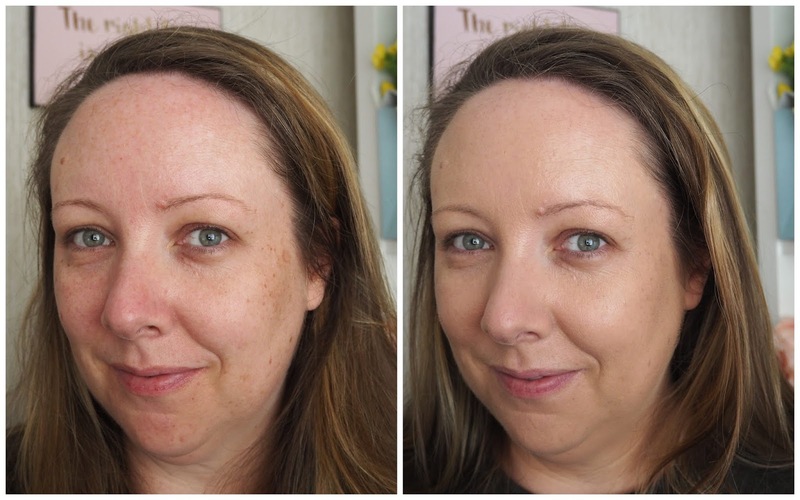 For foundation, again, I wanted something that would stay put, that would give a matte finish without leaving me looking dry or cakey and that's why I brought the Note Cosmetics Mineral Foundation in shade 01 (€12.95). The lightest shade is too dark for me, but once blended down the neck, I'm a vision of loveliness. I've done a full review of it earlier this year but if you're looking for a base with a matte texture but that leaves your skin looking radiant, then you need to try this. It's the business. My powder of choice was the Urban Decay All Nighter Waterproof powder (€31). I had high hopes for it, but it far exceeded my expectations. I showed the water literally squirting from my forehead in France and this did not budge. When the sweats dried up, it kept my oil at bay for the whole day and kept me looking decent while I lost half my body weight in moisture! It's one of those powders that helps blur pores and even before I went away, I was using it loads over dewy bases and I can't say a bad word about it. For brows, I brought my trusty Kiss NY Pro Fine Precision Brow Pencil (€11.99) in Taupe which is still going strong. I can't say a bad word about it and it ticks all of my brow boxes in terms of longevity, pigmentation, colour and price. Because of it, I can't spend any more than this on a brow product! It was a no brainer when trying to decide what to bring for my eyes because I wanted something small, handy, and something I'd get a few looks out of. I took my beloved Urban Decay Naked Petite Heat palette (€32) and it's just the best little set of shadows. I used it to create day and night looks and it's one of my all time favourite palettes ever. I nearly forgot the Urban Decay Primer Potion (€22) which would have been catastrophic for my scaldy oily eyelids! It's like cement on my lids and in the heat and the sweats, I had minimal creasing if any. I can't be without my primer potion and it really is the best eyeshadow primer I've ever tried. My YSL Volume Effect Faux Cils "The Curler" mascara (€32.50) survived the equivalent of me sitting on the sun for the week with the heat in the high 30s and it did not budge one single bit. I spent a lot of time crying laughing with Catherine too (it's all saved on my Instastories!) and again, this was budge proof. I'm going to give this its own blog post because it's a brilliant mascara and it takes a lot for me to love a high end one like this. The proof is in the eyelash pudding when it comes to mascaras, and this one is just fantastic! For my cheeks, I picked some of my favourites and also had to factor in the size of the products too, so I brought the Max Factor Bronzer in Bronze (€15), which gives the most gorgeous soft focused warmth to the skin and is one of the best budget bronzers on the market. If you're looking for something matte, this ain't for you, but try it and you'll fall in love. I had to bring Kiko Smart Colour Blush in shade 7 (€5.95), one of the best bright corals I've ever tried and I've tried a lot. I know I talk about this blush a lot, but nothing else has gotten a look in over the last few months! And a little goes a long way. I definitely want to pick up more of these in the autumn and I can't recommend them enough! Finally, I was able to glow like never before in France last week. I had a natural sheen 24/7 because of the water leaking out of my face, but I still needed that extra glow, and that's where my beloved Benefit Dandelion Twinkle (€34) came in. Dusted across my cheekbones, I was a vision of radiance and when I wanted to amp up my eyes a bit, I patted it on my lids and inner corner for a little je ne sais quoi. I know. I'm verdy French altogether now. Ooh la la! I was so proud of myself for only bringing what I needed, for using everything that I brought and for picking bits that didn't slide off my face every day! Now look at this photo. It was taken on the sun where it was a million degrees, the sweat was pumping out of me, I couldn't see what I was doing, but I was loving life and had the trust that my makeup wasn't going anywhere! A couple of minutes cooling down in the air con and you'd be none the wiser because my makeup looked flawless. This next photo was taken prior to us galavanting through Cotignac, having the lols and while the hair went up a few minutes due to the neck sweats, my face stayed put and sure where would you be going! So my advice is if you're going to somewhere hot, take these bits and you'll be grand. Ok bye.